Many of us consume oil at some point during the day; whether it is during dinner or in a supplement. What is not well-known, is that not all oils are the same. Nutritional oils are full of fatty acids which are the building blocks of our cells. 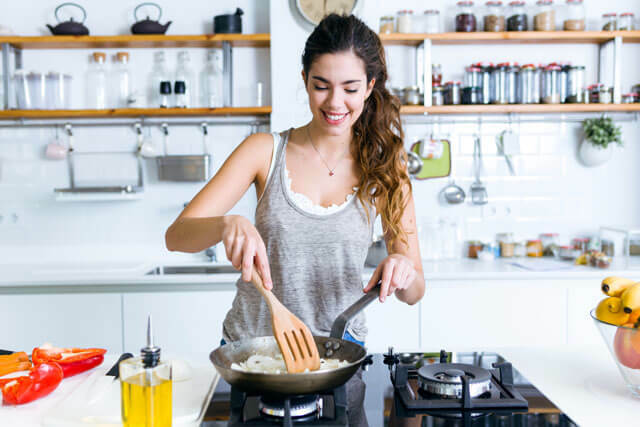 Labelled the essential fatty acids (EFAs), Omega-3 and -6 cannot be produced by the body, therefore when consumed in the diet, it is important to maintain the correct balance. The Western diet is abundant in Omega-6 EFAs; and although indispensable for good health, research suggests we are consuming 14-25 times more Omega-6 than Omega-3. So how do you know if you have the right balance? Let us explain the difference between nutritional oils and how adding them into your everyday routine will bring you one step closer to optimal health. Fatty acids aid many functions in the body. Powerful anti-inflammatories, they protect us from harm, provide energy for later use and work as a system messengers. The human body produces several fatty acids however it is unable to produce Omega-3 and -6, and that is why they are labelled essential, as they must be obtained through diet. 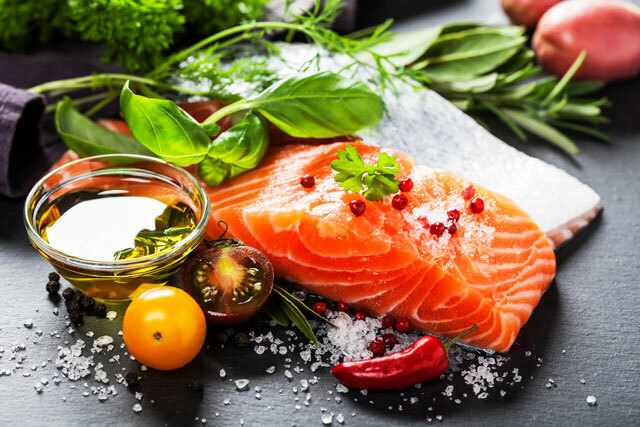 Both EFAs are crucial for optimal health; Omega-3 however is naturally anti-inflammatory and Omega-6 is pro-inflammatory, therefore an imbalanced ratio can be detrimental. If you are not eating enough whole food Omega-3 sources such as chia seeds or fatty fish, you make want to consider taking nutritional oils. If you experience common deficiency signs such as dry, inflamed skin, cracked heels, keratotis (bumps on the back of arms) and dandruff; this is your body’s way of telling you need EFAs, as they play a large role in skin moisture and repair. The most important factor in determining whether an oil is chemically reactive or, suitable for heating, is the degree of fatty acid saturation. Saturated fat, once considered unsafe, has many health benefits and is the most heat stable. Saturated fat solidifies when cold, and melts when heated; this is evident in Coconut oil, as over 90% of the content is saturated. Oils high in monounsaturated fats such as Extra Virgin Olive oil and Avocado oil, are also extremely beneficial and have numerous health benefits. As both contain some saturated fat, they are fairly heat resistant, however as a liquid, are wonderful poured over a salad. Comparatively, Vegetable oils, including Canola, Sunflower and Rice Brain oil are high in mono-and-polyunsaturated fats and are extremely chemically reactive. Vegetable oils are subject to harsh processing methods that essentially remove all nutritional value. Additionally Canola oil has a 2:1 Omega-6: Omega-3 ratio, making it pro-inflammatory and therefore harmful to our health. Coconut Oil is the best option to use when preparing food as it is heat resistant therefore will not be altered in the heating process. As a medium-chain fatty-acid, it is broken down almost immediately by enzymes in the saliva, and generally used as an energy source, therefore less likely to be stored as body fat. 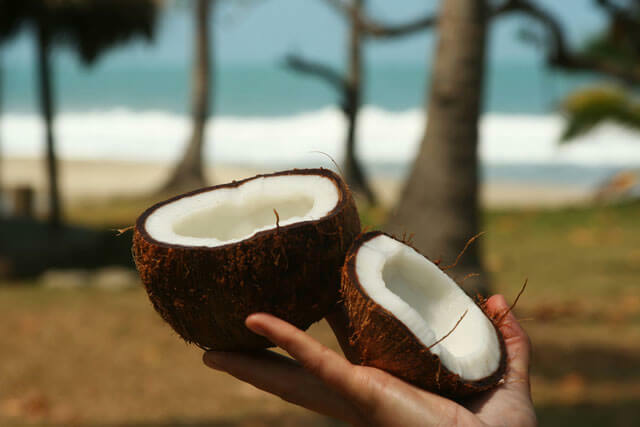 High in lauric acid, coconut oil is a powerful anti-bacterial and anti-fungal. It is up to 15 times more effective than benzoyl peroxide, making it extremely beneficial to use topically, own its own, or mixed with sugar as a scrub. Lauric acid furthermore helps to maintain healthy cholesterol and blood sugar levels, boost metabolism and increase feelings of fullness. 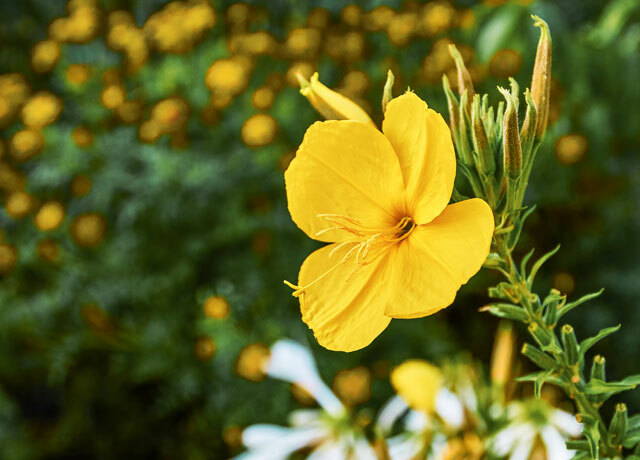 Evening Primrose Oil (EPO) is a favourable source of Omega-6. Extremely beneficial for the relief of dry skin, EPO moisturises the skin from the inside out and is a great remedy for sufferers of eczema. EPO helps to balance the reproductive system especially supporting symptoms of PMS. If you have an issue with blemishes around your mouth, chin or jaw line, this is an indication with you may need to take EPO for hormonal support. Omega-3 fatty acids are one of the most highly researched nutrients. High in Omega-3, EPA and DHA play an essential role in the benefits Fish Oil supplements can offer. Omega-3 is well known to support cardiovascular health, healthy cholesterol levels and support nervous system functions. With the modern diet being so high in Omega-6, it is essential that you support your Omega-3 levels. Good Health offers a range of high quality fish oils that meet strict international standards, to ensure you are consuming a safe, and rich source of Omega-3. Flaxseed oil is a natural source of Omega-3. Highly concentrated in alpha-linolenic-acid (ALA), it is the precursor to EPA and DHA, the Omega-3 component of Fish Oil. Some individuals lack the enzyme needed for the conversion from ALA to EPA/DHA, however as ALA contains nearly twice the level of Omega-3 as Fish Oil, it is a wonderful vegan friendly source. ALA is a potent anti-inflammatory, and regular use can support cardiovascular health, hair, skin and nails, and support the nervous system and proper brain functions. 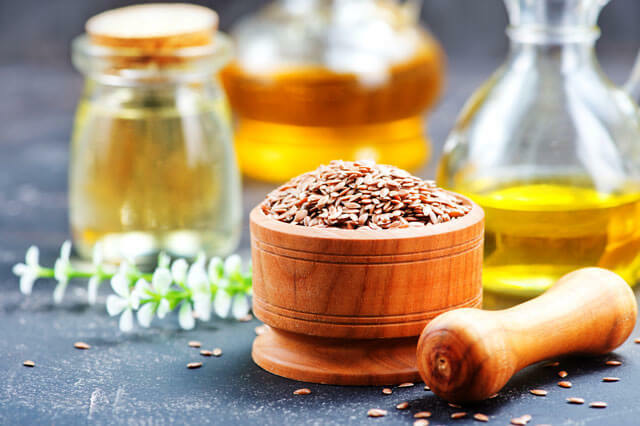 Rich in polyunsaturated fat, Flaxseed oil should not be heated; however, asides from an essential supplement it is available as organic cold-pressed oil and can be used in food preparation as a salad dressing or in hummus.